Delicious soups for the whole family made with ham. Just like I’ll fight (nicely, of course) the other cooks at the Thanksgiving table for possession of that flavorful turkey carcass — such a great way to make stock — I do the same at Easter for the ham bone. 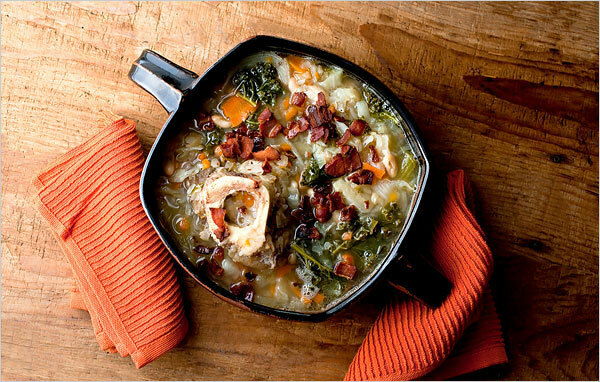 These rainy April days are the perfect time to take that ham bone out of the freezer and put it to good use for some great tasting and heart warming comfort food. 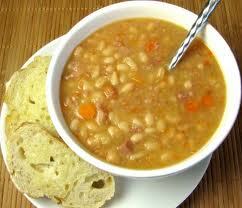 Bean soups especially benefit from a long simmer with a ham bone, whether or not there’s much meat left on it. If there is, that’s just a bonus; slice it off at the end and add it to the soup. Allow at least two hours for each of these soups, and know that they’re just as good reheated for lunch. One of my favorite spring soups is split pea, that hearty staple, even better when it’s studded with bits of ham. Ina Garten’s recipe for split pea soup, taken from the original Barefoot Contessa Cookbook, is a simple and delicious way to start. To use your ham bone in this recipe, submerge it in the soup during the last 40 minutes of cooking. Depending how much meat comes off the bone, you may be able to reuse it if you refrigerate it between uses. John Besh’s beautiful, coffee table-worthy cookbook, “My New Orleans,” is 384 engaging pages of stories, recipes and Southern inspiration. 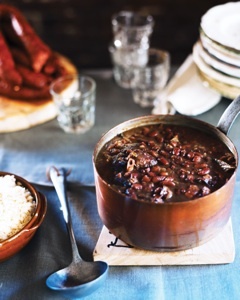 I first made this fragrant pot of red beans and rice on Super Bowl Sunday, with the justification that the game was being played in New Orleans, and so red beans and rice were perfectly appropriate. This simple recipe starts with the trinity (green pepper, celery, onion) and gets flavor not only from smoked ham hocks, but also from bacon fat, cayenne pepper and, of course, Louisiana-made Tabasco sauce. The red beans freeze well, too. Add a green salad and some crusty bread and you have a wonderful meal to share and savor! Springtime means renewal, and for many that means taking a fresh approach to eating healthier. Count hearty ham and bean soup with a good dose of veggies among the healthy spring offerings. High school kids in Charleston, South Carolina, helped create a recipe for a ham soup that was recently named among the semi-finalists in a nation-wide contest to create a healthy school lunch dish. The Recipes for Kids Challenge competition is part of First Lady Michelle Obama’s Let’s Move campaign to end childhood obesity. Brainstorming about what to add to their submission in the legume category to make it attractive to students, kids on the team suggested adding ham, according to the write-up in the Charleston Post & Courier. The team, made up of students, a chef, and a representative from Slow Food Charleston and from the Medical University of South Carolina came up with Confetti Soup. Among other things, it incorporates loads of vegetables – including the health-food star, kale – with black eyed peas and turkey ham. 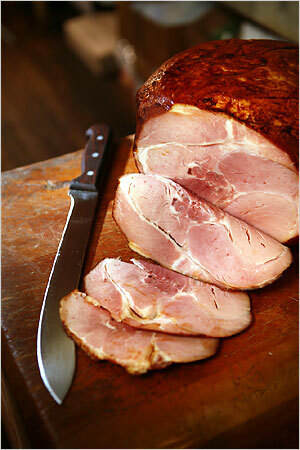 And there are many lean ham choices that add great flavor and nutrition to soups and other dishes. This soup is among five of the semi-finalists in the legumes category. View all 15 semi-final recipes. Try them, then vote for your favorite. It’s just another great example of why we love ham soup. It’s good and good for you. If you’re like us and stowed your leftover ham in the freezer before embarking on seasonal travels, you might be wondering what to do with it now that everyone’s had enough indulgent holiday foods. Take heart. There’s almost nothing more satisfying and simple this time of year than a good ham soup. One of the best things about serving a holiday ham is the soup that follows. Here, we’ll provide a foolproof formula for making the best ham soup ever. With this method, you can have a perfect soup at your table whenever you have on hand a bit of ham or leftover bone from a holiday ham and a few other ingredients. Add ham bone, stripped of loose meat, to the pot and cover all with water. Water should come one or so inches above your bone. If you have no ham bone, use a quality chicken or vegetable stock or broth. Immediately add to the pot soaked or canned legumes and/or evenly cubed or cut vegetables* of your choice. Here’s where it gets really fun! You’re limited only by your imagination. But leafy greens (spinach, kale, etc.) should be reserved and added to the end of your cooking time. (*Beans and veggies we like include tomatoes from our freezer or a can, potatoes, turnips, parsnips, celeriac, green beans, corn or barley, and any type dried bean.) Also add herbs of choice, fresh or dried, at this point. With a limited selection of good fresh herbs in Wisconsin this time of year, I usually crush 1 teaspoon oregano and basil between my fingers into the pot, plus a couple bay leaves. Use your taste buds as your guide. Let soup simmer on low for one to two hours, depending on your ingredients. (Certain legumes, unless canned, will take more time to cook. Same with hard root vegetables like turnips. 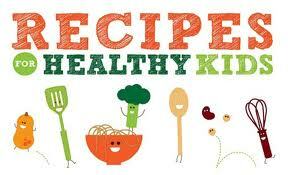 Test your beans/veggies at regular intervals until they’re soft with some give, but not crunchy.) Add water as needed so ingredients remain covered as they simmer. About half way through, add reserved ham that you have (one cup or so torn or cut into pieces), or take out the bone and remove any ham remaining and return meat to the pot. You can also add small pasta or barley, 1/2 cup to 1 cup, here or a little later depending on the pasta cooing time. At the end of your cooking time, add one to two cups fresh, chopped greens of your choice. Spinach and kale are great choices. Cook for just a few minutes until done. Serve with garnish of fresh chopped parsley, sliced scallions, shredded hard cheese (like parmesan or cheddar). Customize however you like. Add more ingredients to make it chunky like a stew. Limit ingredients to create dishes like ham and potato soup or Cuban black bean and ham soup. Find your favorite ingredients and have fun. And please share your results. I’m always looking for more great ham soup ideas. Here at gThankYou, we’re big fans of soup, ham and bean soups in particular. Pity we’re heading out of what I consider prime soup season. Before grilling season takes hold, however, I offer this humble homage to simple, versatile and satisfying ham and bean soups in this installment of Recipe of the Week. Soup is the reason I prefer bone-in hams. There’s a good reason why so much meat clings to those bones. It just begs to be made into soup! In its recipe for Ham Stock Epicurious says a shank will yield a meatier broth base. But I’ve had good results with all types. And if you need a pot of ham and bean soup and have no bone, you can always throw in a ham hock and get a great flavor, too. Perhaps my favorite reason for cooking ham and bean soups is that it’s actually better to make it ahead. The soup freezes well and actually develops more flavor if you serve it the next day (or day after) it is made. Enjoy a pot today, or tomorrow. We make egg salad once a year. 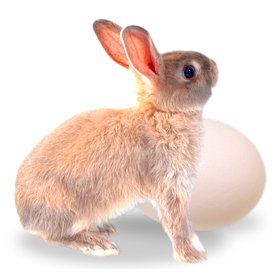 Bet you guessed that it’s the week following the annual visit from that famous bunny, who leaves colorful, hard-cooked eggs all around our house — in the yard if the snow isn’t too deep. Likewise, I have favorite recipes I pull out annually following the big Holiday Ham Dinner. I make ‘em once a year and they’ve become almost as much a tradition as what we do on Easter itself. Send in your family favorites. Bet there are about 101 of them. One recent chilly Sunday, we baked a ham for dinner – a rare occasion. I’ve always reasoned that big roasts should be saved for special occasions, holidays mostly. This got me thinking about Sunday Dinners my mom and Grandmother cooked, each always an occasion of its own. These days, traditional Sunday Dinner has mostly gone by the wayside. 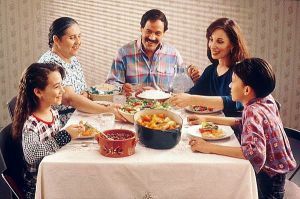 Busy schedules of smaller families living across the country have made meals of “cheater’s chicken” or carved ham from the grocery hot counter more the norm. But preparing and serving a baked ham from home is really no more expensive or difficult than picking up a pre-cooked meal at the store. It’s all in the mindset. We had a lot of fun reliving the Sunday Dinner tradition with our baked ham. But the best part was the leftovers, which is really why I baked the ham in the first place. Ham & Bean Soup: This fantastic version published recently in the Milwaukee Journal Sentinel that I made is from the Bogus Creek Cafe & Bakery in Stockholm, Wisconsin. This eatery was also written up by Jane and Michael Stern of Road Food, Gourmet Magazine and Splendid Table fame. Seriously good. Ham & Cheese Crêpes: Julia Child’s influence lives on in my kitchen as I continue to find new ways to serve her crêpes. This time, it was Ham & Cheese Crêpes I found at Cookography. Ham & Cheese Quiche: I score extra points anytime I can sneak spinch into a dish. This Ham, Swiss & Spinache Quiche went down just fine. Rediscover Sunday Dinner, and all the rewards that follow. It’s worth every minute. While the days are getting longer, winter drags on (and on) in February. But you can cook up plenty of warming comfort with a few simple ingredients from your grocer’s shelves. This week, gThankYou starts its Recipe of the Week. This week’s pick: Delicious and nutritious soups made with cabbage and ham hocks. First, a couple of notes on ingredients. Cabbage has been called one of the world’s healthiest foods. It’s also cheap, plentiful, economical, and versatile, as demonstrated in cabbage-based dishes from about every cuisine (kimchi anyone?). Cabbage has become among our favorite ingredients for satisfying winter meals, with availability at its peak during the colder months. Ham hocks are fabulous flavor boosters, often added to enhance soups and to make substantial stocks. They’re smoky and rich, and according to Recipezaar come from the lower part of a pig’s hind leg. Jamie Olver cooks up a simple Ham & Spring Greens dish featuring cabbage in this video. Another version of Cabbage Soup from Emeril Lagasse. Ham Hock & Cabbage Soup from the Cavemanfood blog. Culinary Disasters throws in potatoes in its recipe here. And That’s My Home offers a lentil soup using cabbage and ham hocks. An added benefit: Making these soups can be as rewarding as eating them. Enjoy! Snow started to fall last week in Wisconsin. Rudolph has made his annual broadcast appearance. And the grocer’s cases are piled high with Hams of all shapes and sizes. Yup. The Holidays are definitely here. It makes sense to plan some simple and easy meals for the busy weeks ahead. gThankYou! to Maria Rodale for sharing this Pennsylvania Dutch ham, string bean and potato soup at the Huffington Post. Leave it to Ina Garten to add class to a classic with this Ham and Cheese in Puff Pastry. gThankYou! Ina and the Food Network. The Famous Cuban Ham Sandwich with a gThankYou! to the folks at GroupRecipes.com. gThankYou! to Laura at Real Mom Kitchen for this fantastic Farmhouse Ham Chowder. And, finally, nothing says comfort in a bowl like Delicious Ham and Potato Soup with a gThankYou! to AllRecipes.com. Happiness is returning home from sledding, shopping or Wassailing to a pre-made meal. The garden and markets are bursting with a bounty of fabulous veggies this time of year. But the shorter days of Autumn call me to the soup pot for sustenance. With so many great ways to jazz up fresh veggie soups using perfectly seasoned hams, it’s hard to know where to begin. My hands-down favorite is Julia Child’s Potato Leek Soup, or Potage Parmentier. It’s dead simple and downright good with many variations, including tossing in ham at the end! gThankYou! to one of my favorite public radio personalities, Lynne Rossetto Kasper, host of The Splendid Table, for Julia’s recipe. Harvest Potato Vegetable Soup, with a gThankYou! to Organic Valley Coop. Roasted Vegetable Soup with Ham, with a gThankYou! to The Paper Apron. Smoked Ham, Barley and Vegetable Soup, with a gThankYou! to Epicurious. Rick Kiley is President of gThankYou, LLC, based in Madison, WI. gThankYou® Certificates of Gratitude™ are one way savvy companies recognize employees’ great work at Holiday Time. The company is best known for its Turkey Gift Certificates, Ham Gift Certificates, and Grocery Gift Cards. It’s cold and snowy here in Wisconsin! Although, it’s a lot less snowy and a lot warmer than just a few weeks ago. We think we’ve found four of them that you’ll love. Crockpot Corn and Ham Chowder with a gThankYou! to About.com Southern Food. Split Pea with Ham Soup with a gThankYou! to For the Love of Cooking. Smokey White Bean and Ham Soup with a gThankYou! to What We’re Eating. Ham and Vegetable Creamed Soup with a gThankYou! to Dinner Plate Pancakes. Rick Kiley is President of gThankYou, LLC, a Madison, WI based seller of Gift Gertificates to savvy employers and is best known for gThankYou® Ham Gift Certificates, Turkey Gift Certificates, and Grocery Gift Cards.